This depends on your skin type. Generally most people can acquire a base tan on our Level 1 sun beds in 5 to 10 sessions done in a 14 to 21 day period. Fewer sessions are needed in our higher levels and a base tan can be achieved in our high pressure beds in as few as 3 sessions. When starting out, we will recommend shorter sessions, gradually building to the full session length. It is important not to overexpose your skin during this period, as sunburn halts the tanning process. The Food and Drug Administration suggests that a 48 hour time period should pass between tanning sessions. Pigmentation and/or sunburn may not be fully visible for between 12-24 hours. Following the recommendation of your tanning consultant will provide the best results. You should not tan every day. It takes as long as 24 hours for pigmentation and any skin reddening to become fully visible. A responsible tanner observes his or her’s skin reaction after exposure in order to determine if subsequent exposure is recommended to maintain a tan. MILWAUKEE, Wisconsin (CBS/AP) Worried about Alzheimer’s? New research suggests that vitamin D and exercise are prime factors in warding off the degenerative disease. Moderate to heavy exercisers had half the risk of developing dementia compared with less active people, researchers working on the Framingham Heart Study reported Sunday. “That seems to be as good as anything” for preventing dementia, said Dr. Richard Mayeux, a Columbia University neurologist and conference leader. In a separate government-funded study, researchers found that vitamin D deficiency can raise the risk of mental impairment up to fourfold, although it’s not clear if taking vitamin D supplements does any good. Scientists are also looking into the theory that Alzheimer’s and diabetes are somehow related. Diabetics seem to have a higher risk of developing Alzheimer’s, and Alzheimer’s patients tend to have insulin resistance, said Laurie Ryan, who oversees Alzheimer’s study grants for the National Institute on Aging. There is some hope that certain diabetes medications might be helpful against Alzheimer’s. The onslaught of news about the disease comes from the annual Alzheimer’s conference being held in Hawaii, where scientists are hailing a slew of new diagnostic tests that make it easier to spot Alzheimer’s, but bemoaning a lack of effective treatment options. 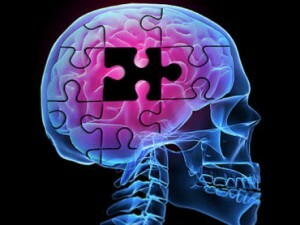 Alzheimer’s is a form of dementia that afflicts more than 26 million people worldwide. It often strikes the elderly, but another form of it, early onset Alzheimer’s, can strike as early as the 30s. There is no known cure.